Louis Starr sends a check for $2500 which is for the endowment fund. 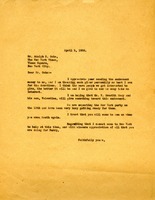 Letter requests information on endowed days. 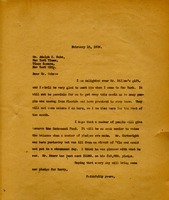 Theodore D. Palmer initiates an endowed scholarship funded by himself, his sister Mrs. Charles E. Taylor, and his brother Mr. Dean Palmer. Schwab declines to contribute to the campaign. 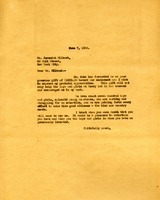 Copies of Adolph Ochs's solicitation letters for the endowment fund and a list of potential donors to whom the letter has been sent. Berry thanks Ochs for sending endowment money, commenting that the more people that can be interested in the school, the better. She hopes that V. Everitt and Valentine Macy will contribute to the endowment. Berry tells Ochs that the publicity about his offer to raise a million dollar endowment for the schools is having a detrimental impact on her ability to raise regular operating funds. She suggests that it will be better to curtail publicity about the attempt to raise the endowment. Berry is delighted with Mr. Dillon's gift and hopes to meet him when she goes to New York. 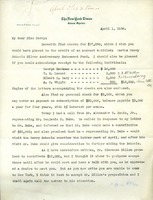 She reports on a visit by Mr. Cartwright and Mr. Starr's contribution toward his $10,000 pledge. 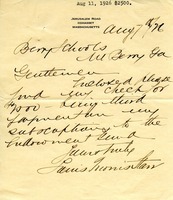 Letter to the treasurer of The Berry Schools from K. G. Matheson sending his check for $12.50 for his subscription to the endowment. He also says that he hopes that Miss Berry reached the rest of her endowment goal of 1 million dollars. 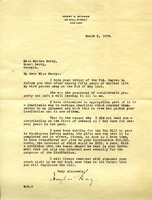 Martha writes to Mr. Duke to thank him for the 25,000 dollars he was going to give toward the endowment. 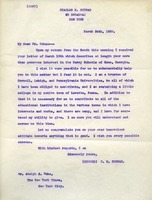 Letter from Martha Berry to Mr. Jeremiah Milbank in thanks for his $1000 gift to the endowment and inviting him to visit the school. 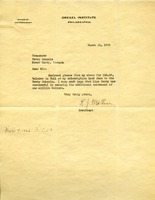 Katharine D. Moore of the Katherine Gaylord Chapter D.A.R. 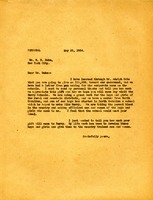 writes Martha Berry to inform her of the D.A.R. 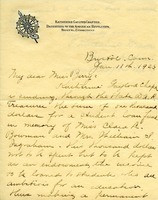 's donation of $1,000 towards a student endowment fund. 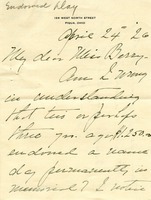 Henry McHarg informs Martha Berry his wife has died and that he is her sole heir and that he plans to give The Berry Schools $10,000, which will yield $500 in interest per annum.